Full interior and refurbishment solutions in 1 bedroom in Bay central for a businessman from UK. Bathroom renovation, Guest bathroom upgrade, kitchen remodelling and furnishing all apartment. Turn key from a to z. Kitchen remodelling. Organising, removing the wall, new lighting, organising. 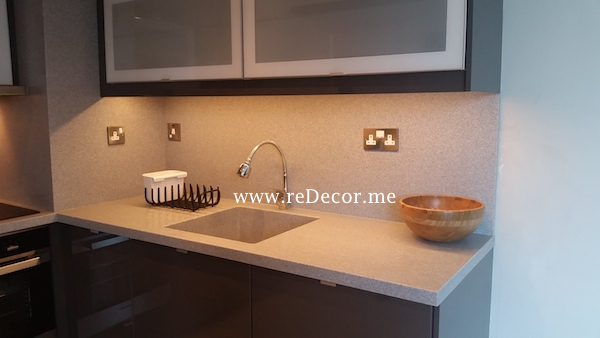 Glossy grey with Corian light grey walls and counter top with integrated one piece sink.